With Christmas been and gone for the year, many people are still left with the unwanted and unused presents. These days, this typically consists of mobile phones and other electronic gadgets – useful items admittedly but ones which we don’t always want or need. With this in mind, it helps to know what you can do with unwanted gifts and how you can turn them to your advantage. The best way to do this is through recycling; a process which allows you to pass the device on to a new home and giving you cash for your efforts. This is the best of all possibilities; not only is your unwanted gift being put to good use, but you have money to put towards something you actually want. Just because you don't want something, doesn't mean that it isn't useful. 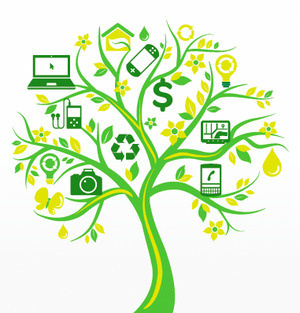 Recycling modern technology is big business and it’s something that has a lot of relevance in today's world. That which you don't want can either be used for parts or sold to someone who does want it. For you, this simply means that you can be rewarded for giving away an unwanted phone for mobile phone recycling. It’s a simple process but one that can reward you with a decent amount of cash. Furthermore, it’s all done online so you don’t need to worry about trawling the shops for somewhere to trade in your gadget. Services such as Music Magpie will even send you a free post envelope so you don’t have to spend a penny. Of course, one of the stronger incentives for doing this is to get paid for your trouble. The cash is a nice reward for a very simple effort but it can nonetheless serve a variety of uses. For instance, if you're giving away a mobile phone because it’s not the one you want or doesn't meet the requirements you need, you now have cash to put towards a handset you want. From game consoles, phones and tablets to CDs and DVDs, there are near countless things that can be recycled, all for a respective cash exchange. Of course, recycling isn't the only option and if you have the time and patience to commit then selling your goods on is something else you could do. This will rely on you posting a suitable advertisement and negotiating prices with customers but you could still stand to make a sizable return. However you decide to list or sell your gadgets, make sure that you provide sufficient information to receive the best possible price. Customers will want to know what condition the device is in as well as the technical specifications which it boasts so don’t leave anything out. Look at details from the manufacturer for the appropriate model and list this along with details of whether there is any damage or marks to the device. If possible, include pictures to give customers a visual aid which may encourage them to part with their cash. This guest post is provided by Music Magpie. If you’re interested in mobile phone recycling then their easy to navigate site will give you an immediate quote on any make or model of handset.